Mining Jobs – Myth or Opportunity? It seems everyone is still looking for mining jobs Australia, in particular mining jobs QLD because of the many mining companies operating in the region. In this article iMINCO shares a little known secret that a select few have used to find jobs in the mines. Despite the negative press of 2013, why are so many people still looking to their future in the hope of scoring a high paying mining job? Over the last 12 months, iMINCO has written a stack of articles on mining jobs and how to go about preparing to get one. 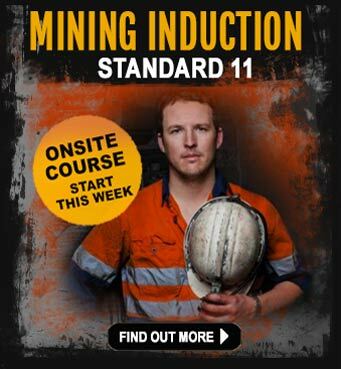 As we move into 2014, competition for jobs in the mines, especially in Queensland is hotting up. We’ve heard two sides of the story in terms of job reductions as well as new mining jobs being created – almost in the same month. BHP Billtion invested heavily in its new $5 billion Daunia Mine in Queensland, sending a message to other mining companies that mining in Queensland was still a viable option for the big mining companies. Global coal demand is still leveling out and mining companies are straining to maintain profitability -� although waiting in the wings are many countries that are right at this moment, eying up Queensland Coal deposits in the Bowen Basin and the mythical Galilee Basin. 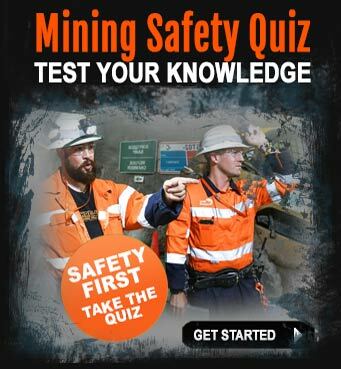 for people who are looking for a career in Queensland mines and asking themselves, “is it worth training and developing skills for the mining industry and can I get a mining job?”. Optimism is a driving force behind any successful business and is a personal trait of many successful people. Combining optimism with cold hard facts and reading between the lines is a sure-fire way of deciding truth from myth. iMINCO is a mining information company. iMINCO has a team of mining specialists who live and breath mining. We follow hundreds of mining news stories every month and are in direct communication with some of the largest mining companies in Australia and overseas. Researching mining companies, reading the news, keeping up to date with mining job alerts is our area of expertise. We do this to hone in on the mining and resource sector news that can make a difference to the lives of thousands of people who subscribe to our no-commitment, weekly newsletter called iMINCO Project news. Mining jobs can change people’s lives and give them a real shot at creating personal wealth and financial freedom for themselves and their families. However, not everyone is lucky enough to score a high paying job in the mines, so how does anyone ever stand a chance of ‘being in the money”? As you read on, you may be suprised to learn it could be easier than you think. Ask anyone about how to go about finding any jobs these days and you’ll hear the words SEEK, or Career One or Indeed. Everyone it seems goes online. In fact there are dozens of mining jobs board that list mining jobs from all over Australia. It seems over 90 per cent of people will rely going to these jobs boards day in day out, hoping to score the chance to ‘pitch’ for a job. This means competing with hundreds if not thousands of other people who want the same job. Just as mining relies on prospecting, exploration and discovering new opportunities, the same applies when digging up mining jobs. Don’t rely on job offers landing on your lap or in your email in-box – go out there and start to dig them up. That might sound crazy, but as you read on, you’ll see it’s quite the opposite. One of the iMINCO mining news editors recently uncovered an article in a financial magazine which reported on Chinese investment in the Queensland coal mining industry. This was not a mining magazine, it was an investor review of mining stocks on the Australian Stock Exchange (ASX).� So what does Chinese investment and the ASX got to do with jobs digging up mining jobs? When you think of it, every new discovery means literally thinking outside of the box, to go against conventional thinking and forgetting the old ‘sheep mentality’, where everyone has a magnetic pull to the same old methods of finding jobs. Let’s start to join the dots…you’ll soon see where we’re heading. It’s not all doom and gloom for Australian Stock Exchange listed coal companies.� Chinese energy giant China Kingho Energy’s takeover offer for Carabella Resources Ltd caused an investor stir recently and even caused a share price spike – much to the delight of investors. Kingho Group is reputedly to be the largest private coal mining company in China. China Kingho is reported to be looking to further diversify its coal production outside of China and Pakistan. Reports indicate it wants to increase its exposure to hard coking coal projects, especially in the coal-rich regions of Queensland and in particular – the Bowen Basin. Kingho Energy targeted Carabella Resources Ltd because of its Bluff Project in the Bowen Basin, which is shaping up as an easy to mine, small scale operation in a proven coal district and close to other PCI mines in the Blackwater region. The Bowen Basin Bluff project has a resource of 21.5Mt giving an expected mine life of 10 years or more with production at full capacity of approximately 1.2 million tonnes of coal per annum,� with more recently an initial reserve of 11Mt being defined. Testing has also indicated that high quality, ultra-low volatile PCI coal is found at the mine site. This low volatile, PCI coal is highly sought after by steel makers worldwide. Chinese interest on Queensland coal mines, rarely makes it on to the mainstream news channels, which is unfortunate as there seems to be much more value to the state of Queensland to promote the mining job opportunities than the run-of-the-mill, mundane news items we are accustomed to. This being the case, you can begin to understand why it is important for mining job seekers to look further afar than traditional means such as jobs boards and recruitment companies. Don’t rely on traditional mining jobs boards too much, look to other sources of news like investment magazines and international companies. Chinese investment in Queensland coal mining companies such as Carabella Resources Limited open up the way for mining jobs in the state. When looking for mining jobs, the ASX is a great place to start because every mining company listed on the exchange has to report on their every activity. This transparency reveals a lot about their current and future activity, where they are currently mining and more importantly – where the next job opportunities could be. Read their reports, investment news and keep going back to see what’s changing. People who are pondering a mining job in Queensland should go to the Carabella Resources website and learn as much as they can about the mining company. Start to keep a record of the smaller mining companies that are proactive in Queensland and set up Google Alerts, or as in the case of Carabella Resources, sign up for their personal email newsletter. This way proactive people get the latest news before others know what’s going on. This is a big plus when applying for jobs. Get the right training and qualifications to make you more employable and job-ready. 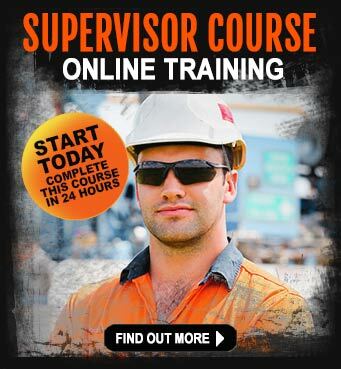 This can be as easy as doing a Mining Induction course and undertaking a Coal Board Medical examination. 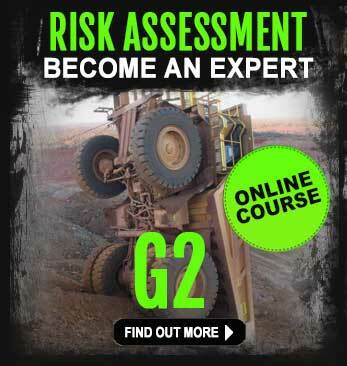 If driving heavy machinery is your thing, look at perhaps doing a dump truck course or excavator course. Professional and safe operators are always in demand – there’s plenty of mining jobs for machinery operators. Armed with the knowledge gained from researching Carabella Resources and Kingho Energy, the next step is to contact the company and introduce yourself. Send in your resume and covering letter. Informal introductions are a good way to make an impression with the HR department or recruiting company. Go one step further and personally deliver your resume to their head office. Make an enquiry by phone first and find out who is responsible for human resources – this way you can personalise your introductory letter (which is a big plus). Before sending in a resume, make sure it looks great. get someone to look over it to make sure there are no grammatical or spelling errors. There’s been many a mining career halted by a typo. Many people spend a few dollars on getting their resume written by professional resume writers who understand the mining industry and recruitment. At the end of the day, be proactive and go out in search of your future. There are mining jobs out there!